Released late 2015, Hippocampus Gin is created using the help of one-shot method and is hand-bottled in small batches at our distillery. It is a traditional style gin with superb juniper character and subtle flavours from botanicals which have been used to make gin for hundreds of years. 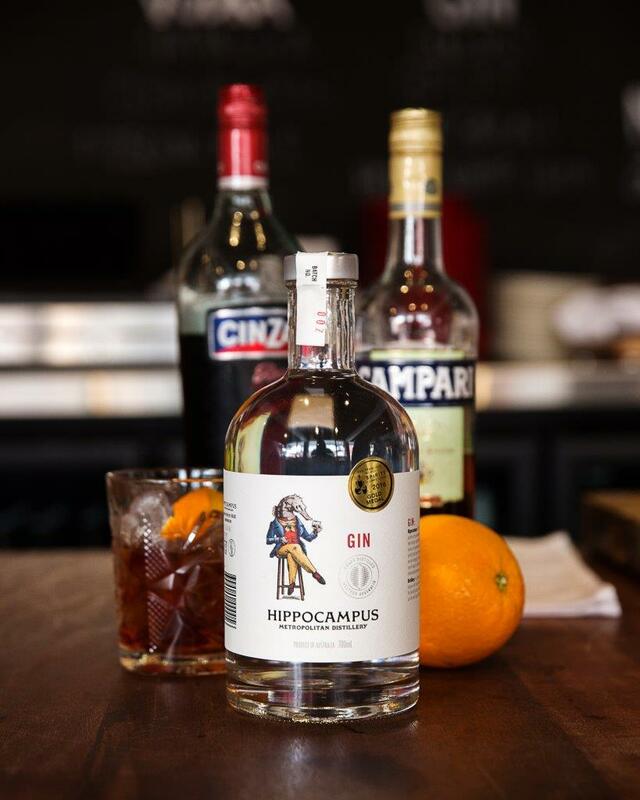 Our very first batch of Hippocampus Gin received a gold medal at the prestigious San Francisco World Spirits Competition so it’s fair to say we’re pretty chuffed with the result. Our gin is made using the one-shot method (never from concentrate) and our distiller’s personal recipe. The botanicals are macerated overnight to ensure the spirit is infused with plenty of flavour and then gently distilled in our custom-made copper still. Our gin is left unfiltered as we only take the best of the ‘heart’ spirit. We simply add purified water before bottling by hand and leaving it to rest. A dry gin with superb juniper character and subtle flavours from botanicals including orange and lemon peel, coriander and cubeb pepper. Only the best of the ‘heart’ spirit is kept to ensure the end result is a well-balanced gin with a smooth mouthfeel and a superb finish.